These impressive looking studio monitors can be seen in Diplo's studio. At 16:16 you can see an Adam A77x placed sideways to the left of the workbench in Noisia's studio. 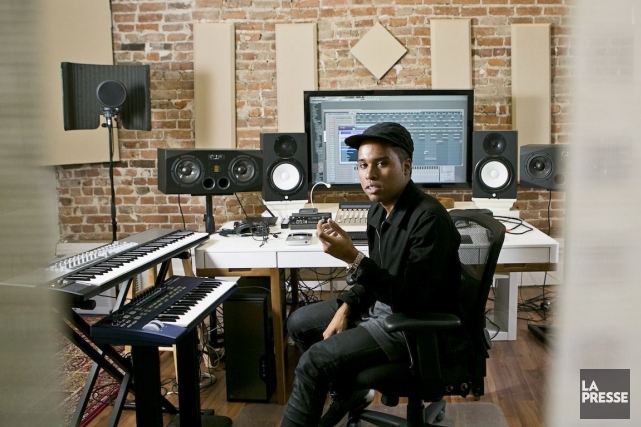 Two ADAM Audio A77X studio monitors can be seen flanking Vinai's screen in his Instagram photo of the studio. The two holes beneath the yellow bars matches those found on the A77X model. This studio monitor can be seen at 0:51 into this video. In Borgeous' Facebook photo (if not one of many of his Facebook photos), we get a clear view of his setup, which includes an ADAM A77X monitor in the upper-left of the shot. The locations of the screws along the cones, holes, and switches/toggles are consistent with the A77X model. Can be seen above his Dangerous Music 2-Bus at around 1:24. The switches, green light, and location of the speakers are consistent with the A77X model. In the upper-left-hand corner of this Facebook photo, one can see the signature yellow grill and switches of the A77X monitors. 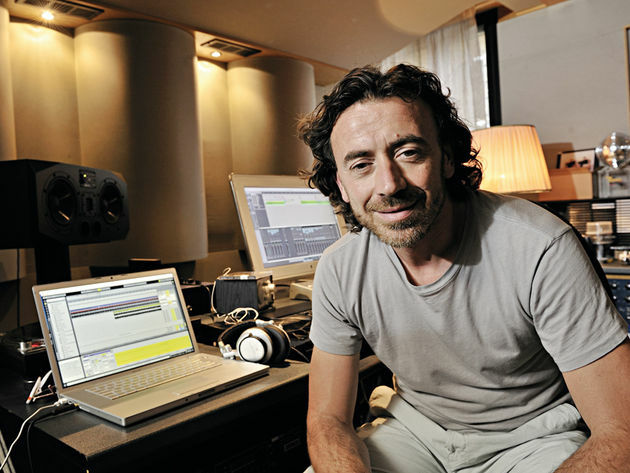 The ADAM A77X Powered Studio Monitor is Benny Benassi's studio monitor of choice, as can be seen in this picture. One monitor can be seen in the left part of this picture. In this Facebook photo, two A77Xs can be seen in Basement Jaxx's studio. "a77x is what I use the most..."
At 0:18, one can see that New World Sound use Adam A77X Monitors. On the Razer Music website, Burns is listed as using Adam A7X monitors. Probably switched from the Yamahas, after building the new studio. The speakers do look a lot like the Adam A77x. First picture, in the background. His A77Xs can be seen at 0:40. On February 7, 2017, Tumay tweeted a picture of two Adam A77X studio monitors in their boxes and captioned it "My new best friends just came in the mail." Like all models of the AX series, the A77X features the ADAM proprietary X-ART tweeter. The ‘X’ stands for ‘eXtended frequency response’ and thus for one of the features of the Accelerating Ribbon Technology that has been drastically improved: the frequency response. It now extends all the way up to 50kHz. In addition, the X-ART tweeter has higher efficiency and higher maximum sound pressure levels. The two 7” woofers are identical with that of the A7X. With their large voice coils (1.5”) and powerful amplifiers, they are capable of both very high maximum sound pressure levels as well as very deep registers. The woofers do not cover the same frequency bands: while both of them are responsible for the (sub-) bass frequencies up to about 400Hz, only one of them reproduces the midrange. This prevents interferences between the two drivers. The rear panel features several additional controls: a gain for the high frequencies (± 4dB) and two shelf filters for high and low frequencies. Best Speaker I had so far! Great overall experience in sound, and very accurate frequency range for its price! great for home studio's and also capable of doing mid-field work if needed! I basically purchased my KRK's first wanting a decent pair of monitors I could use with electronic music, but found they were not brilliant at reproducing the sounds I wanted from my classical based music (which is my main type of music), the KRK's were also not brilliant for stereo mastering, so I did my research and bought a pair of Adam A77X's, I found these have been invaluable for mastering and getting my orchestral sounds to sound exactly on the ball. I found that they work better mounted on stands and not on my studio desk, with sound proofing studs and matting (which I see alot of people do), but this is down to personal preference. I know there are not the cheapest of monitors, but a year on they have basically paid for themselves, and I find them excellent for productions where I've got a lot of tracks and need to hear absolutely everything within the mix, I find the bass response is very good also (I see alot of people complaining about this and buying the separate subwoofer to go with these speakers, but I found its not the case, but again this is personal preference and I guess if I were to produce Dubstep or Drum and bass it may be a good idea). I got these on sale at around £600 a speaker, which looking on the net now is a very good price for them and are much better than my KRK's and my previous KEF reference speakers. But I use my Heco Lab 2 reference speakers for final playback, so don't use the adams for this purpose, but I guess you could as they are not too coloured and have a very good frequency response, unlike the KRK's which I now find add to much to colour to the mix and comparing the adams sound very refined.